Rachel Dolezal, 37, is the head of the local chapter of the NAACP and has identified herself as at least partly African- American. But her Montana birth certificate says she was born to two parents who say they are Caucasian. The parents shared that document and old photos with CNN. We would love to hear about your opinion on this story. 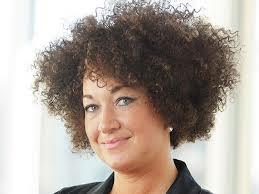 If she truly is caucasian, why do you think she would be dishonest and deceptive with her identity?